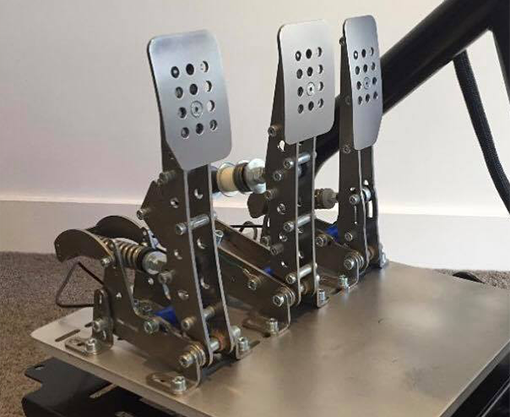 Reinforced Angle Adjustable Pedal Mount, suitable for all the big brands! The RS6 Pedal Deck gains it's strength from the frame on the underside of it. 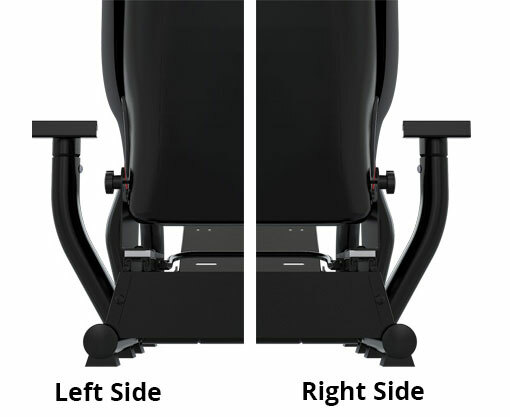 It's adjustable with it's sliding feature up to 100mm and has angle adjustment for the most comfortable driving position of any simulator on the market. Pre-drilled mounting points for all the major brand wheels including Fanatec, Logitech, Thrustmaster and more. The 2" Iron Construction will ensure stable Game Play with Direct Drive Wheels. The included Wheel Mount both angle adjusts, height adjusts and is also pre-drilled for many wheels. Trak Racer RS6 Pictured. Wheel not included. 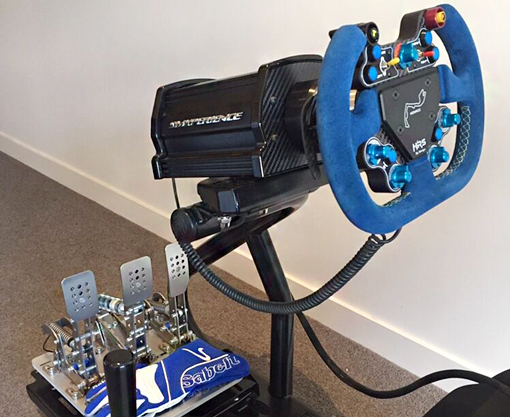 All Trak Racer Simulators allow you to place the Shifter Mount on either the left or right side. 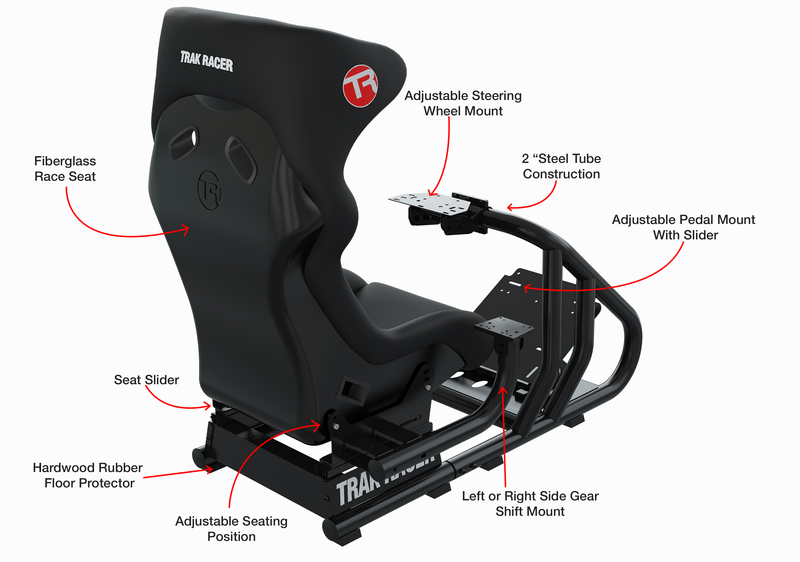 Trak Racer has become renowned for both it's strength and compatibility with all the top brand gaming peripherals on the market.Wheel, Pedals, Shifter and Handbrake are not included unless mentioned in the description. Universal Pedal Mounting Plate with Angle Adjustable Bracket has a rating of 0/5 based on 0 reviews.